A Czech man known only as “OJ” (the initials of his first and last name) filmed himself purportedly breaking into the tombs of Romantic composer Johannes Brahms and Waltz King Johann Strauss, Jr. in the Viennese Central Cemetery to steal their teeth for a dental museum he either already owns or wants to open. In the film, he picks up a skull and removes a tooth with a pair of pliers, then walks past grave after grave undisturbed. 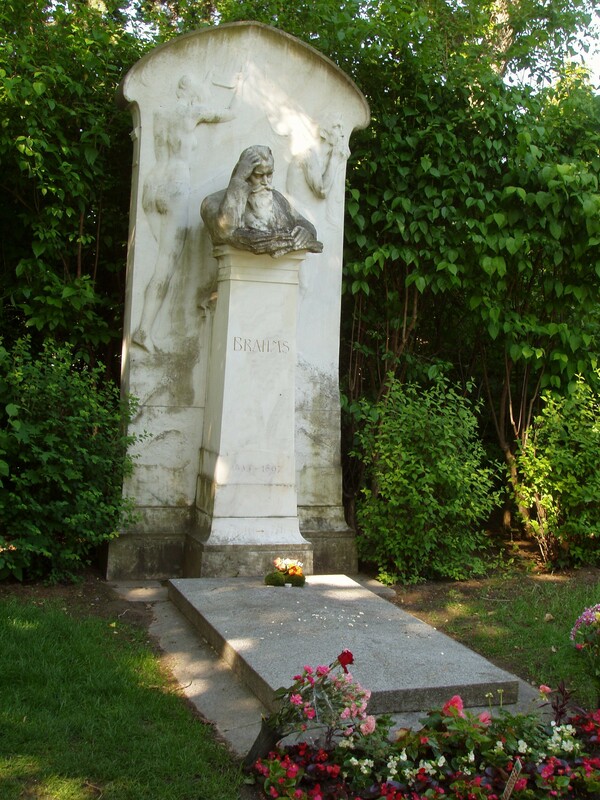 He uploaded the video to his website along with pictures of an open grave and of Brahms’ dental prosthesis. In other quotes from the website, OJ claims to have robbed hundreds of graves for 14 years, leaving him with a massive collection of 400 artificial limbs and hundreds of human skulls. How exactly the prosthetic limbs and skulls are supposed to fit into his vision of a museum of dentistry is not clear. The only reference to a museum of dentistry in Prague that I could find on the Internet was in a novel, so who knows what’s delusion and what’s fact. The timeline is also perplexing. OJ says that he first broke into Brahms’ and Strauss’ graves in 2002, noting that the contents had already been plundered before by other relic hunters before him. In 2008, cemetery officials reported that some graves had been meddled with. As a result, OJ was apparently investigated by Vienna prosecutors for “disturbing the peace of the dead” but they dropped the case because the statute of limitations had run out. After the press picked up on the video and ran with the story, police took a new look at the Viennese Central Cemetery. 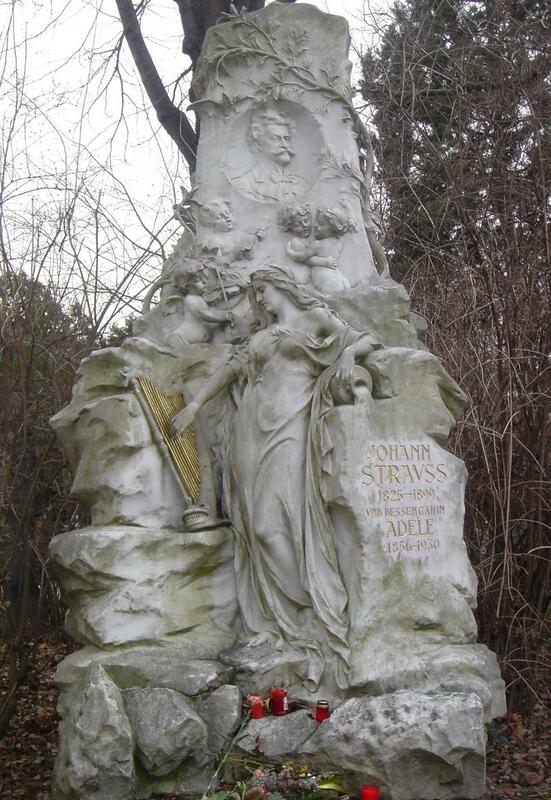 Strauss’ and Brahms’ graves were reopened and their respective teeth and dentures were indeed missing. The police also found evidence of other graves having been disturbed well within the statute of limitations, thus allowing the authorities to reopen the investigation. Thomas Vecsey of the state prosecutor’s office says that they are contemplating charging OJ with burglary, disturbing the peace of the dead and other related crimes. First they have to find him, though. The Federal Criminal Police Office, a national police force similar to the United States’ FBI, is on the case. This entry was posted on Monday, July 2nd, 2012 at 11:47 PM	and is filed under Looting, Modern(ish). You can follow any responses to this entry through the RSS 2.0 feed. You can skip to the end and leave a response. Pinging is currently not allowed. But if he still has the piece of the dead he stole, he's still disturbing them, isn't he? I’ll bet that statute is only referring to the act of grave-robbing and not the possession of the relics. On a side note, he sounds like a nut. But a nut with a vision! You get trolls here too? !